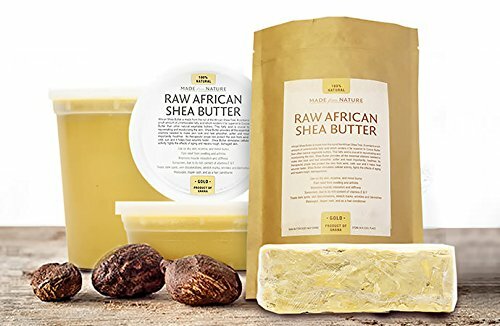 African Shea butter is a natural paste extracted from the nut (fruit) of the African Shea tree found mainly in Western Africa. It contains a rich amount of irremovable fatty acid which renders it far superior to Cocoa Butter and other natural vegetable butters. This fatty acid is crucial to rejuvenating and moisturizing the skin. Shea butter provides all essential vitamins needed to make the skin look and feel smoother, softer and most importantly healthier. Its therapeutic properties protect the skin from wind, coldmsun and it helps heal wounds faster. Shea butter stimulates cellular activity, fights the effects of aging and repairs rough, damaged skin. When pure and unrefined, it has a yellowish texture and gives out a nutty fragrance. 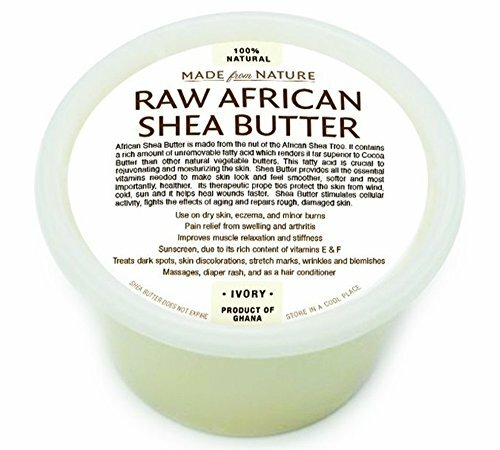 Shea butter is most extensively used all over the world for its proven moisturizing and healing properties. In order to get the most benefit it is best to use it unrefined as it loses some of its key healing properties during the refining process.